Starter bendix, All new starter bendix assembly. All new tooling now eliminates the problems that existed with older reproductions. 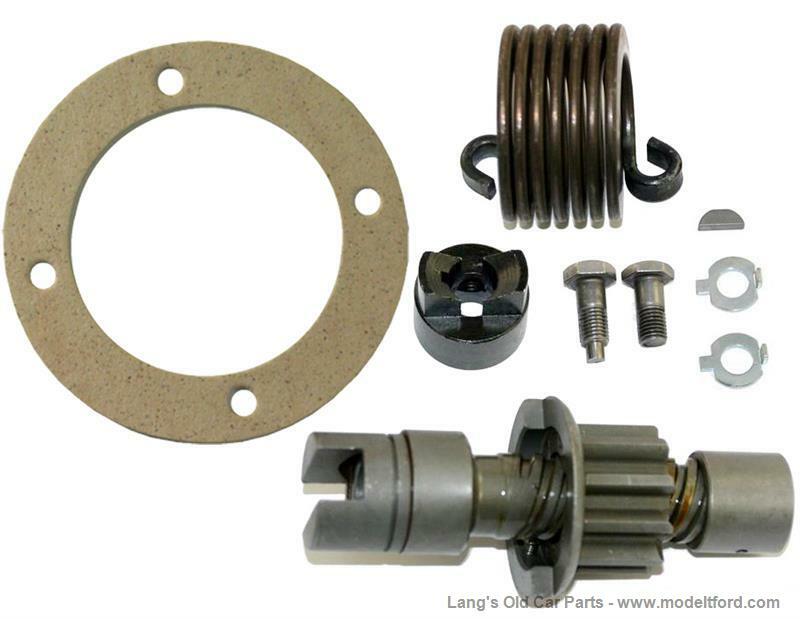 Comes complete everything you to need to your bendix including a new bendix spring, head, head sleeve, key, bendix bolt and washer set and mounting gasket. What is the shaft diameter for this drive? How many teeth are on the drive gear? It fits on a 1/2" shaft and has 10 teeth on the drive gear. 24 out of 26 found this answer useful.